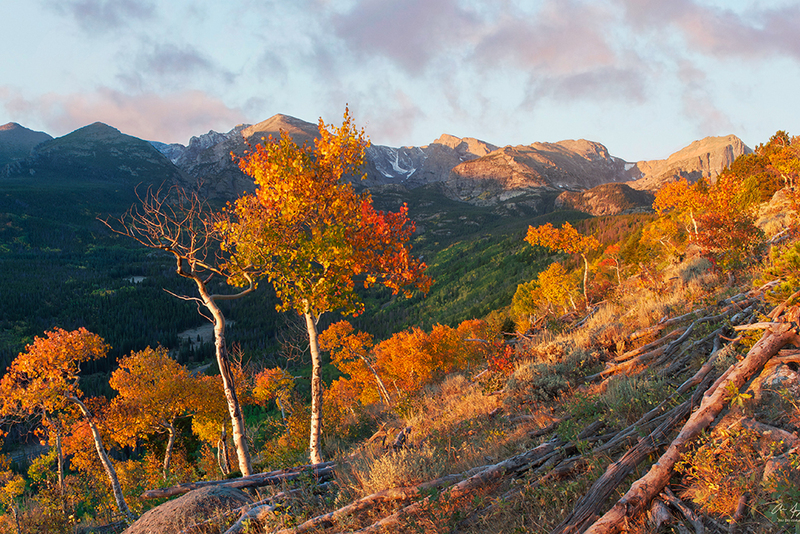 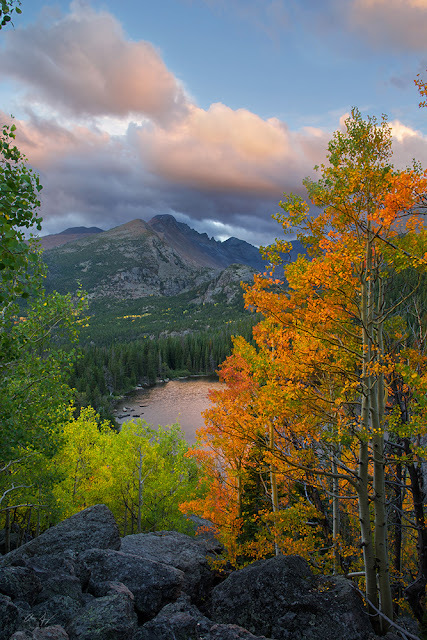 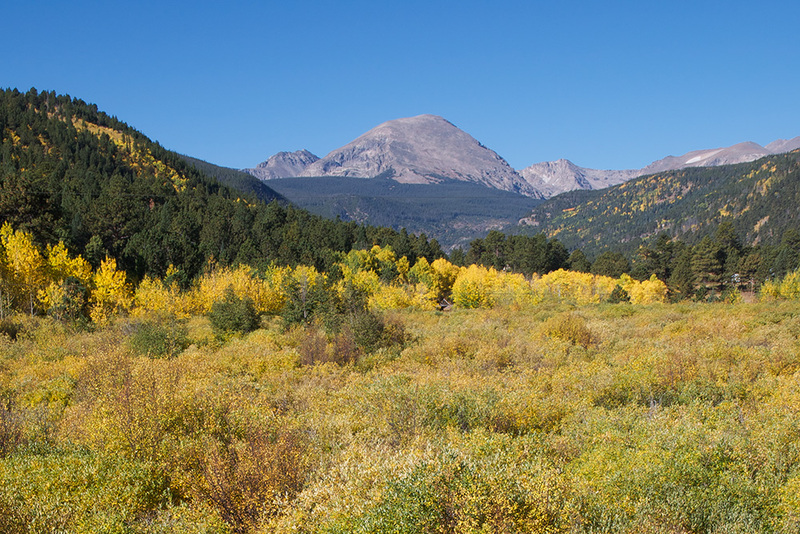 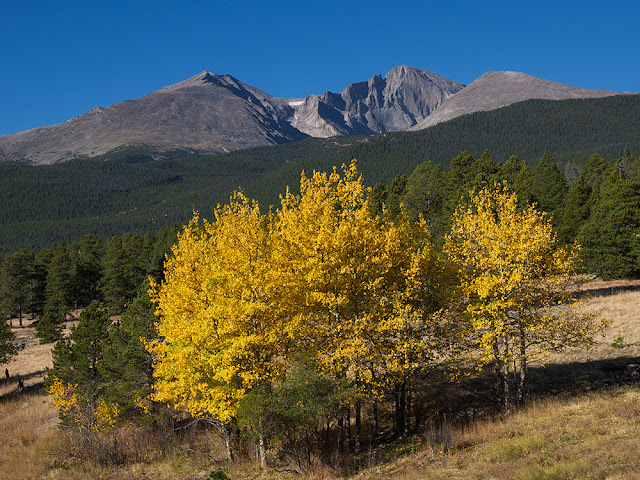 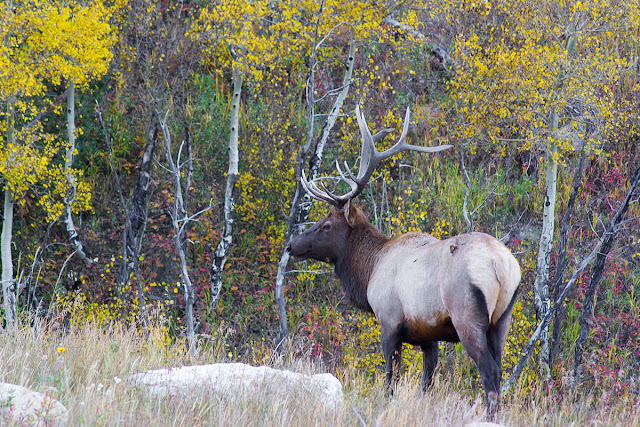 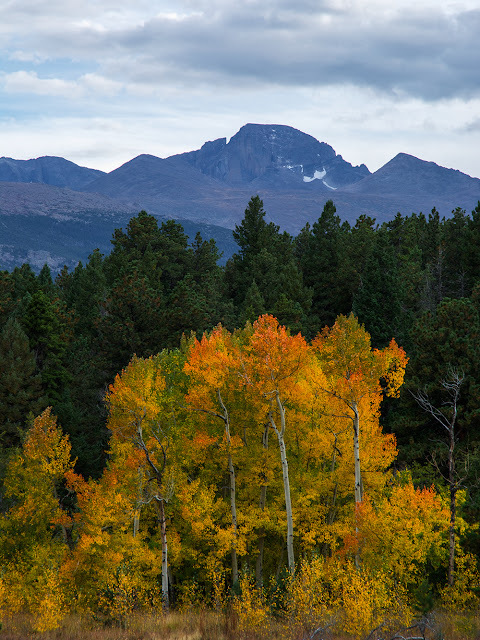 This year was not the most ideal for Fall Color photography in the Colorado mountains. 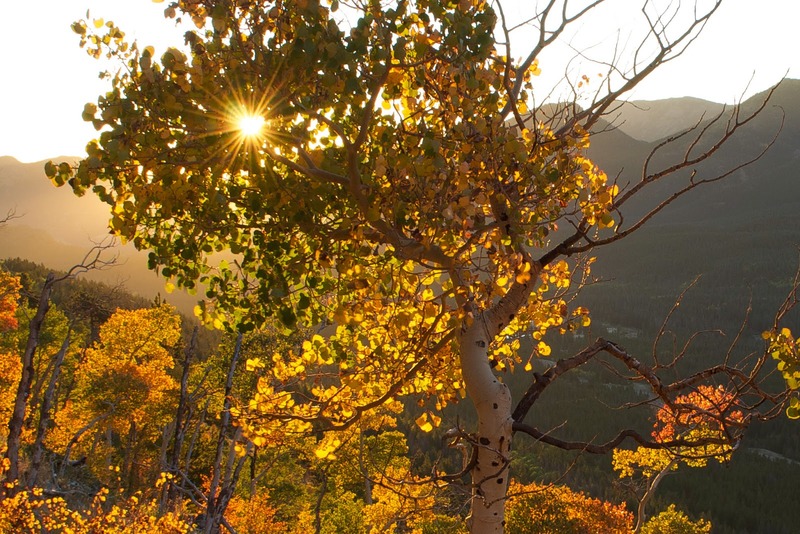 Many of the popular aspen viewing areas have been infected with some sort of fungus (or that's what they're saying) that causes the aspens to turn brown and drop their leaves prematurely. Our very wet spring followed by a drought at the end of summer could be one of the causes of these unhealthy aspen groves. 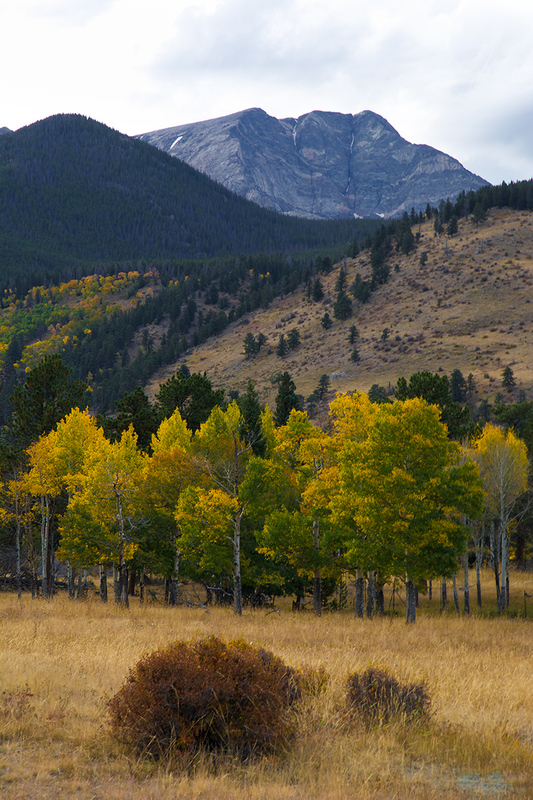 Also, the peaks were still snow free due to the warm weather. 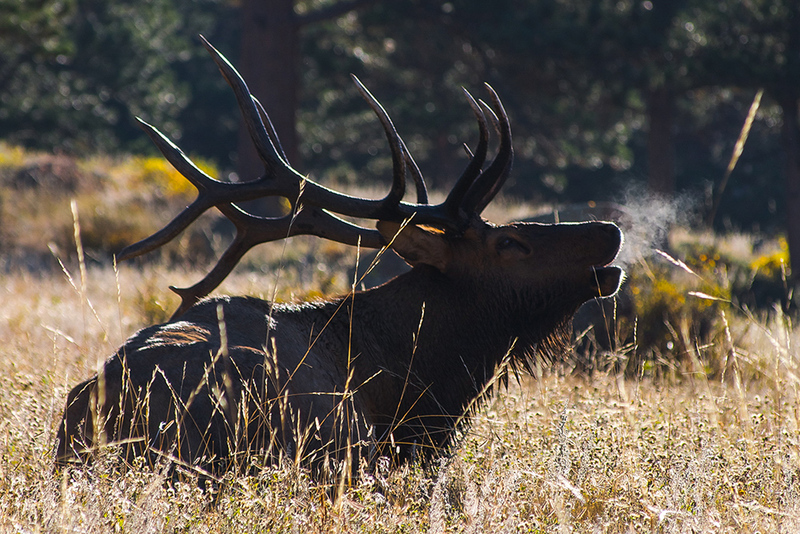 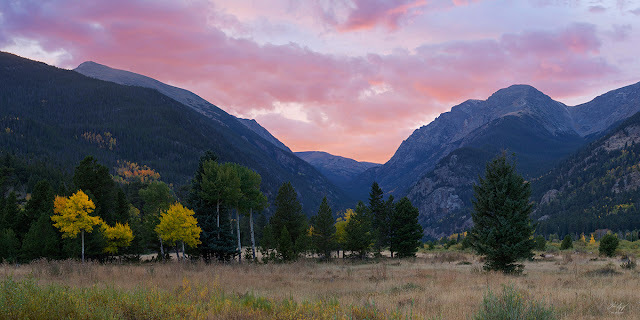 So, after hearing these reports, I decided to stay closer to home this season and spend some time in Rocky Mountain National Park. As far as I've seen, the park wasn't affected as described. 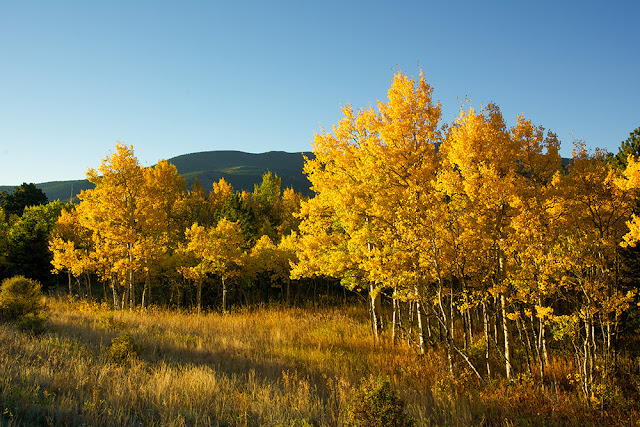 The aspens looked healthy and the colors were vibrant!